Regardless of brand, the goal of air pruning pots is to stimulate root branching by letting air pass through and oxygenate your soil. This effect is known as “”air pruning”” and is beloved by growers for its ability to encourage lateral root growth, resulting in healthier and more robust root systems for your plants to thrive on. 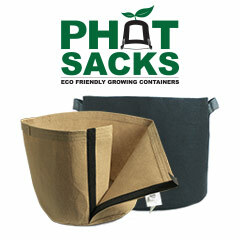 Air pruning pots can also help regulate the temperature of your roots as well. 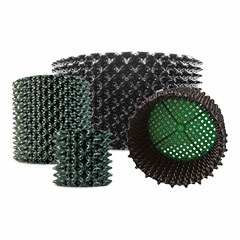 We are proud to offer Ultra Oxy Pots, which are some of the best air pruning pots available on the market. 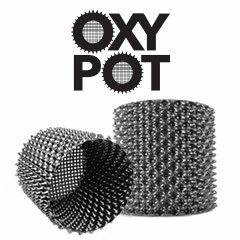 Ultra Oxy Pots use a unique contoured design that increases airflow to your plants’ roots. While Ultra Oxy Pots are often referred to as Air Pots, keep in mind that Air-Pots more commonly refers to a specific brand of air pruning pots, but is often used interchangeably which often causes confusion amongst the growing community. 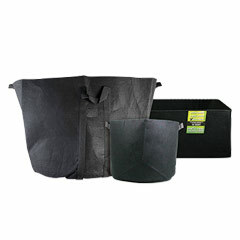 Ultra Oxy Pots achieve a similar function as fabric pots / smart pots but are made from a recycled High-Density Polyethylene (HDPE) instead of fabric. 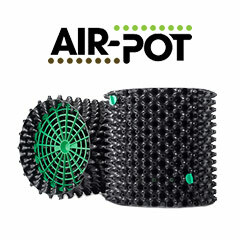 Compared to more traditional grow containers like grow bags or plastic nursery pots, air pruning pots provide significantly improved aeration for your plant roots, and help to prevent what is known as “”root circling””. 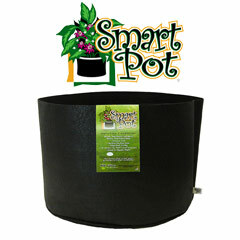 While there are some great fabric pot products out there, such as Smart Pots, products like Ultra Oxy Pots take this idea to the next level. Ultra Oxy Pots, for example, use a unique contoured design to provide even more airflow than traditionally designed fabric pots.